He holds an MBA in Finance from the Kellogg Graduate School of Management (1990), Northwestern University, and a BA degree in International Economics from Stetson University, (1985). His career in Russia began in late 1992, when Mr. White was invited by the Nizhny Novgorod government to advise on developing entrepreneurship support programs for the region. Between 1992 and 1995, Mr. White established one of Russia’s first training centers dedicated to emerging entrepreneurs, resulting in numerous new company formations. Between 1995 and 1998, Mr. White worked for PricewaterhouseCoopers, assisting as Senior Advisor the Russian Privatization Center (RPC) in training 22 Russian consultants in three provincial regions of Central Russia on the development of a network of self-sustainable investment consulting centers for small private enterprises seeking market expansion. The RPC center achieved its goals by generating over $1.0 Mio in local client fee income in 1998, and was considered one of the few RPC programs to achieve all of its stated self sufficiency objectives. Mr. White then spent eight years heading the EBRD’s Central Russia Regional Venture Fund (CR RVF), where he led the development of several key investment projects including Nizhpharm, now part of the STADA Group; Multiflex, a leading flexible packaging producer in Russia; Morion, quartz oscillators; and nine others. Following his successful track record in managing the EBRD’s CR-RVF portfolio of regional VC investment projects, which ultimately generated significant profits for its investors, in 2005 Kendrick founded Marchmont Capital Partners, LLC. This US holding is primarily comprised of Mr. White’s private investment project assets in Russia, including the widely recognized Marchmont News, the publisher of its nine Marchmont Investment Guide to Russia glossy journals and the www.marchmontnews.com and www.marchmont.ru bi-lingual websites featuring innovation news from Russia’s regional innovation clusters, as well as other angel round high tech investments. 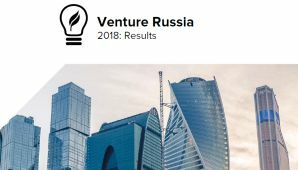 An official member of the US-Russia Business Council (USRBC), the Russo-British Chamber of Commerce (RBCC), as well as several regional Russian trade and commerce associations, Marchmont is a recognized leader in the field of innovation investing in the Russian Federation. Since 2005 Kendrick White has focused on using his experience in developing regional innovation ecosystems in order to create a systemic national approach to commercializing regional high tech projects into global markets. In support of these goals, in 2007 the company launched a series of Marchmont Business Leaders Investment Forums, which ran monthly across Russia through 2011, promoting new innovation development tools such as angel clubs, incubators and accelerators to local community leaders. The initiative was enhanced in 2012 by launching a new Marchmont Business LAB three day Master Class program with the key focus on proof-of-concept (POC) centers. Based on Marchmont’s unique proprietary contact network and reputation, the company launched in 2012 the weekly Marchmont PULSE newsletter to its global subscriber database of over 20,000 VIP contacts. 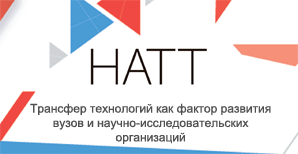 The newsletter outlines key news and trends emerging from Russia’s regional innovation drive. In recognition of Mr. White’s unique experience in technology investing, he was invited in 2006 to join as an official Private Sector member the “Innovation Council for High Technologies” (ICHT), a bilateral US-Russia council initiated by Presidents Putin and Bush. In 2010, the new Innovation Working Group (IWG), was formed as a successor to the ICHT, which became an integral element of the new US-Russia Bilateral Presidential Commission. The focus of Mr. White’s activities in the IWG was to help develop strategy proposals from the US side, in developing a Russian network of university based Proof-of-Concept (POC) centers, dedicated to assessing the commercial viability of new technology discoveries. Also in 2010, Kendrick was invited to join the “RVC Expert Council” as an advisor on developing new high-tech commercialization methods to be supported by the Russian government. Additionally, as a member of one of Russia’s first business angel club, the “Start Invest Club” located in Nizhny Novgorod, Mr. White has built a portfolio including the companies; Super Position, developing a new generation of plasma lasers, and Cascade, which is developing an advanced single photon generator. Both companies are currently residents of the Skolkovo Foundation’s Space Cluster. Mr. White is also a founder of the company Zappp, which is developing next generation Wi-Fi router products. In 2013, Kendrick leveraged this experience to launch the Marchmont-UNN Venture LAB, a new Accelerator Fund hi-tech support program which he initiated together with the Lobachevsky State University of Nizhnó Novgorod (UNN). Mr. White is currently seeking to expand the Venture LAB program to other regional universities in order to support regional high tech enterprise start-ups. Since his appointment in June of 2013 as UNN’s new Acting Vice Rector for Innovation, Mr. White has focused on developing UNN’s Technology Commercialization Center (TCC), which is responsible for identifying the university’s most promising new technology discoverers and preparing market entry business models for each of these projects, along with the successful teams which are required to carry these projects from the labs to real world production. Towards this end, Kendrick is seeking to establish UNN and the Nizhny Novgorod region as a leading innovation cluster in the bio medical segment, able to support a vibrant local entrepreneurial start-up community. As an example of the successful work of UNN’s TCC, since late 2013, the center has been able to prepare 17 new high tech projects for participation in the US Russia Innovation Corridor, one of the key infrastructure support initiatives which UNN is implementing under the EURECA Program supported by the US Russia Foundation (USRF). This program is designed in partnership with the University of Maryland, where UNN projects are placed twice per year into a two week intensive iCorps style training program, where they are introduced to dozens of potential partners and customers in order to enhance their US market entry strategies. Additionally, in late 2014 Kendrick White and the UNN TCC initiated a major new regional inter-university training program called “InnoFest.” The event, which is now becoming a regular feature on UNN’s innovation promotion agenda, was aimed at assisting in the development of a youth innovation environment, and fostering social and research integration within academia. The program attracted the RVC as its General Partner, as well as Strategic Partners such as Intel, Virgin Connect, Bosch, MTS and others. He is a specialist in: strategic and business planning; investment consulting; project management; optimization of business processes. anti-crisis management; financial management; management accounting and reporting; market research and analysis, improving of corporate operational management systems. Prior to joining Marchmont in 2008, Mr. Pigalov worked between 2006 – 2008 as the Director of the Center for Organizational Development and Internal Consulting at the Nizhegorodsky Fat & Oil Factory, one of the largest food producers in Russia. While in this full time “seconded” position, Mr. Pigalov was responsible for developing the long term strategic development of the enterprise in preparation for a specific M&A strategy being implemented by the company owners. Between 1998 - 2006, Mr. Pigalov worked as the Director of the Economic Marketing and Management Division of the Volga-Vyatsky Consulting Center, a privately owned consultancy where he was responsible for leading a full time team of consultants on all consulting engagements. Between 1996 and 1998, Mr. Pigalov was trained in specific consulting methodologies through a British Know How Fund financed Technical Assistance program, in cooperation with the UK office of Price Waterhouse and the Russian Privatization Center (RPC) office in Nizhny Novgorod, where he was responsible for adapting western accounting principles into Russian management accounting systems at fast growing SME and medium sized regional enterprises. A graduate of the State Linguistic University of Nizhny Novgorod (NGLU) and currency trading courses at the State University of Nizhny Novgorod (NNGU). Mr. Kouzbit began his media career in 1994 as a satellite TV news editor at Nizhny’s Volga TV company, and has since then worked as a news editor at a local radio station, Radio Rendez-Vous, a managing editor at a Nizhny Novgorod newspaper holding, an online news editor at NNGU’s Dealing Center, and a deputy to the editor-in-chief at a private publishing house, Vista Publishers. Between 2003 and 2008 Mr. Kouzbit was the director of a Moscow-based NGO engaging in social projects to counter human trafficking. In the current position since May 2008. In addition to day-to-day management and editing of news and analyses Mr. Kouzbit has taken part in the making of a Q3 Nizhny Novgorod business journal and managed the preparation of the national 2008 Year End Review webzine. A graduate of the Alexeyev State Technical University of Nizhny Novgorod in 2014, Ms. Ryabinina majors in PR and is also graduate in translation and cross-cultural communication skills at UNN in 2016. Currently Ms. Ryabinina works at the Marchmont Capital Partnership investment consultancy as a Social Media Manager. In this position she is responsible for looking for media partners she is also engaged in issuing press releases, interacting with the press and industrial partners, and promoting the company and its media projects in Facebook and LinkedIn. She works closely with Marchmont Managing Editor Oleg Kouzbit as an assistant in providing quality content for the websites: www.marchmont.ru, www.marchmontnews.com. Between 2013-2016, Ms. Ryabinina joined Lobachevsky University (UNN) in Nizhny Novgorod as Program Implementation Manager at the established Technology Commercialization Center (TCC). In her position she focused on a broad range of administrative issues for an array of events for the participants of the local innovation ecosystem, such as festivals, innovation sessions and foresights, conferences, training sessions, master-classes, etc. She was responsible for developing and putting together all the necessary materials, inviting guest speakers, preparing cooperation proposals, and other related things. As a separate and broad area of activity, she worked to identify and maintain both formal and informal contacts with domestic and international innovation support organizations, such as universities, technoparks, business incubators and others, for ongoing exchange of news and information. Graduated from Nizhny Novgorod State University named after N.I. Lobachevsky in 1999, specialized in finances and credit. Worked in private commercial structure, Small Enterprises Equity Fund (SEEF), the American Fund working jointly with EBRD in 1994 in accounting and administration area; starting from 2000 worked in “Volgo-Vyatsky Consulting Center” (VVCC), where she was responsible for financial planning, companies’ business-plans, investments memoranda development, also worked in the sphere of marketing and clients’ attraction. Joined MARCHMONT Capital Partners’ team in October 2008 and is currently responsible for financial and administrative areas.